A little idea: “freshly picked” | What's not to like? I started a new tradition this year. 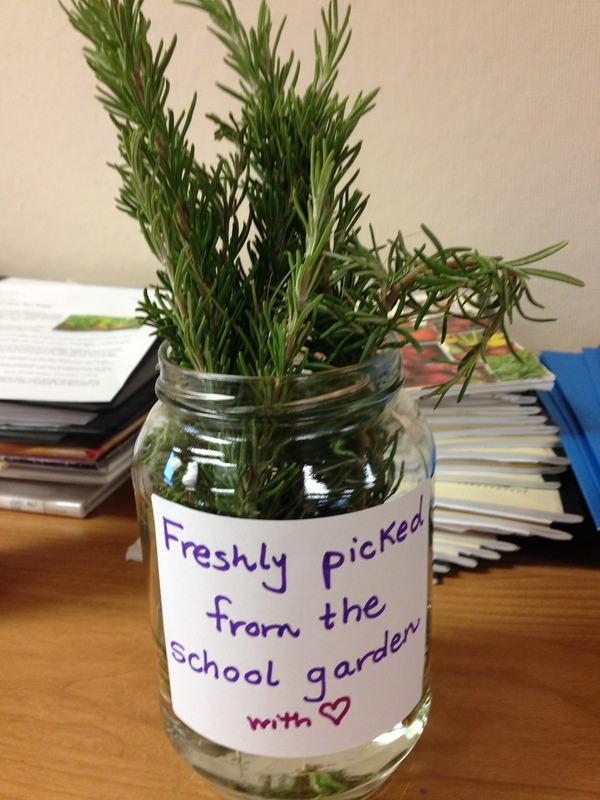 When I visit my K-2 classrooms, I bring something “freshly picked.” This week it was rosemary. Now that my garden ambassadors are chosen, they make the bouquets for me at recess and return the vases to the garden room for me to pick up on the way to class. The idea is that the vase stays in the class until the arrangement withers, and then the ambassadors collect them after a week. 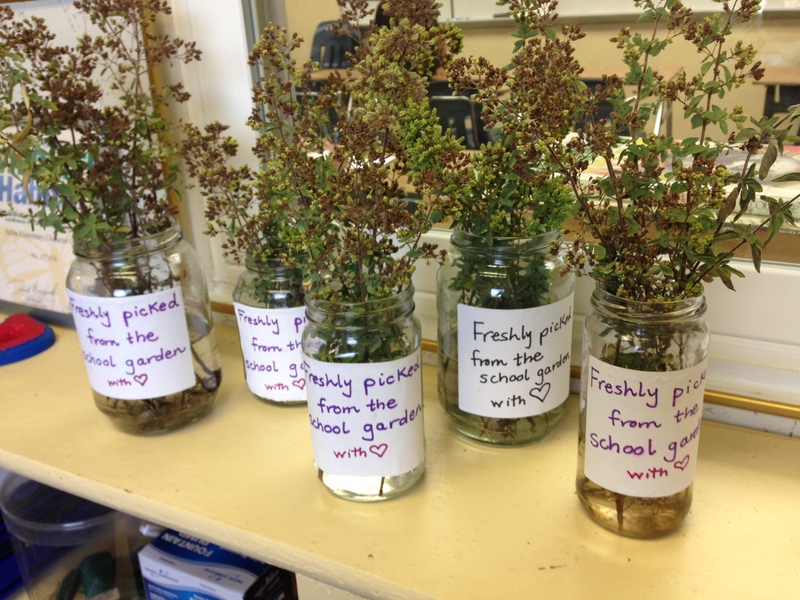 It’s a small touch that “brings the outside in,” fills the room with a nice fragrance and gives students a chance to make observations and learn plant names. Beauty is a language of care! 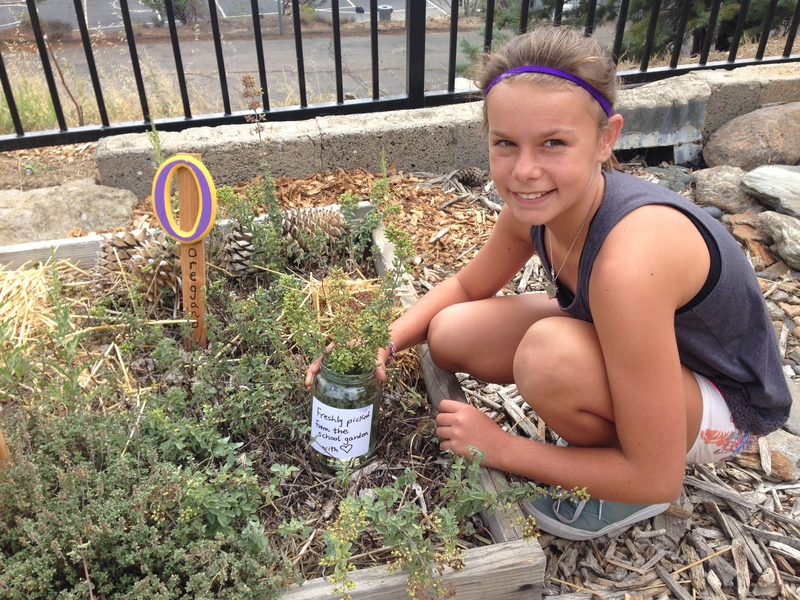 This entry was posted in Garden Activity and tagged botany, children, curriculum, education, freshly picked, garden, gardening, herbs, kids, rosemary, school garden, students by kidsingardens. Bookmark the permalink. And with every comment from my awesome Dad, I am more encouraged to keep blogging! Also they could learn how to use them in foods as herbs. Love the Freshly Picked idea! For some children it will be their first exposure to such a concept. Thanks! It’s a little idea, but if a student were to learn the name, smell and sight of each plant I bring, they would know the names of dozens of plants by the end of the year. Love it! Such a cool idea!! From someone who loves “little touches” as much as I do!